The book deals with linear algebra, including fields, vector spaces, homogeneous linear equations, and determinants, extension fields, polynomials, algebraic elements, splitting fields, group characters, normal extensions, roots of unity, and more. It has been my endeavor in this book to lead by easy stages a reader, entirely unacquainted with the subject, to an appreciation of some of the fundamental conceptions in the general theory of algebraic numbers. Many numerical examples are given. From the table of contents: Basic ring theory, polynomial rings; Finite fields; Extensions of rings and fields; Computing Galois groups of polynomials; Galois groups and prime ideals; Cyclotomic extensions and abelian numbers. The main result is the Hasse principle for the one-dimensional Galois cohomology of simply connected classical groups over number fields. For most groups, this result is closely related to other types of Hasse principle. This book is intended to give an account of the theory of equations according to the ideas of Galois. This method analyzes, so far as exact algebraical processes permit, the set of roots possessed by any given numerical equation. These are notes of a series of lectures, aimed at covering the essentials of Field Theory and Ramification Theory as may be needed for local and global class field theory. Included are the two sections on cyclic extensions and abelian extensions. These lecture notes on Field theory are aimed at providing the beginner with an introduction to algebraic extensions, algebraic function fields, formally real fields and valuated fields. We assume a familiarity with group theory and vector spaces. Class field theory describes the abelian extensions of a local or global field in terms of the arithmetic of the field itself. These notes contain an exposition of abelian class field theory using the algebraic/cohomological approach. 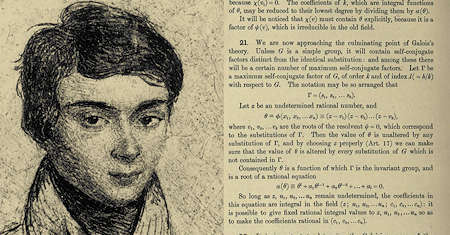 A concise treatment of Galois theory and the theory of fields, including transcendence degrees and infinite Galois extensions. Contents: Basic definitions and results; Splitting fields; The fundamental theorem of Galois theory; etc. The author discusses the problem of solutions of polynomial equations both in explicit terms and in terms of abstract algebraic structures. The course demonstrates the tools of abstract algebra as applied to a meaningful problem. A clearly written book, which uses exclusively algebraic language (and no cohomology), and which will be useful for every algebraist or number theorist. It is easily accessible and suitable also for first-year graduate students.